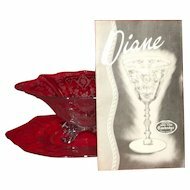 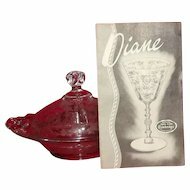 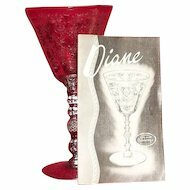 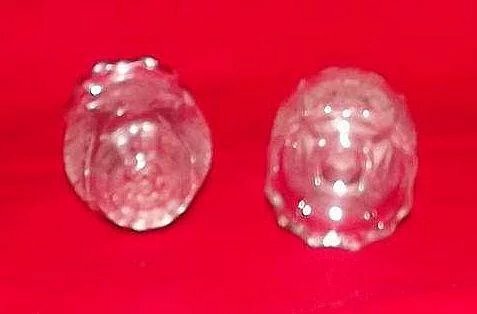 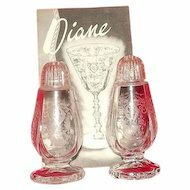 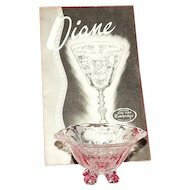 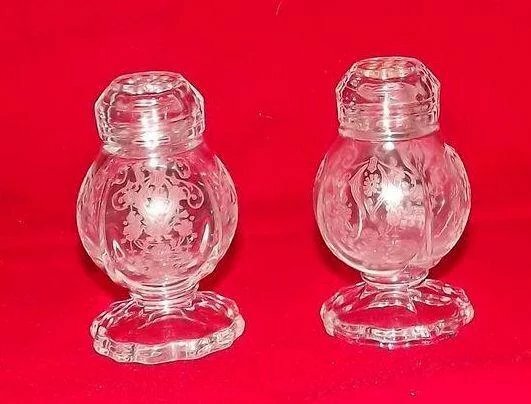 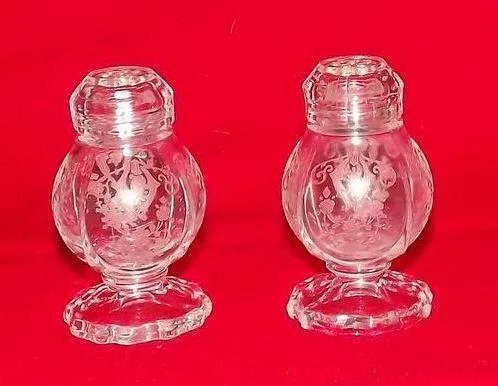 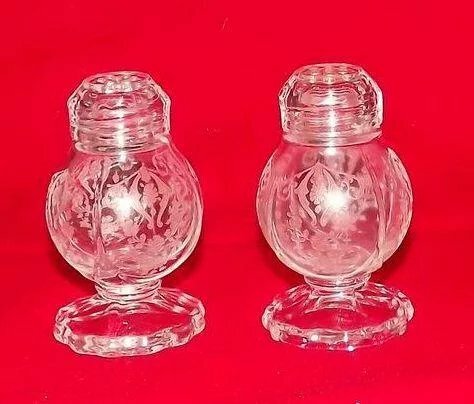 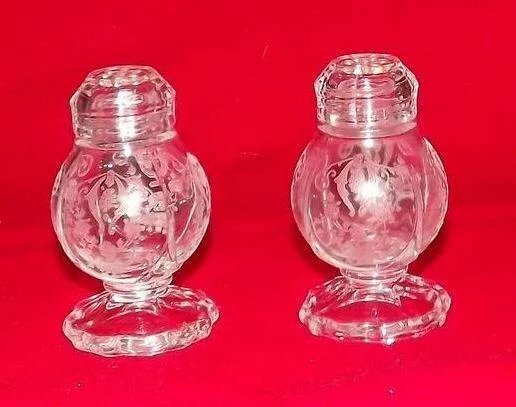 This item is a set of ball shaped salt and peppers with glass tops in the "Diane" etch from Cambridge Glass listed on page 83 of, "Elegant Glass of the Depression Era, Twelfth Edition" by Gene & Cathy Florence. 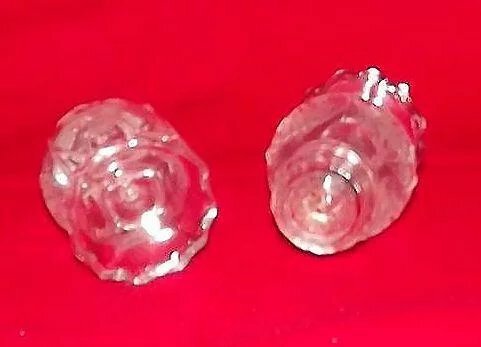 The set are 3 1/8" tall, 2" at their widest body diameter, by 1 7/8" across the scalloped edge foot. 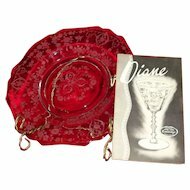 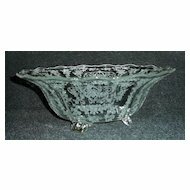 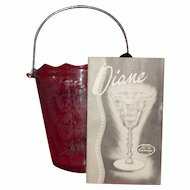 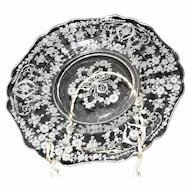 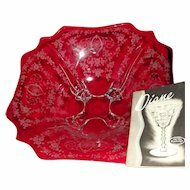 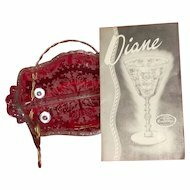 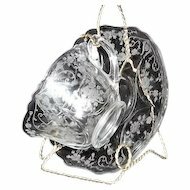 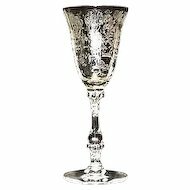 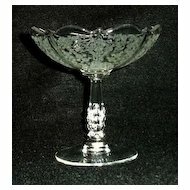 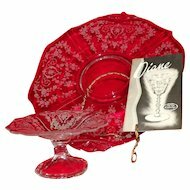 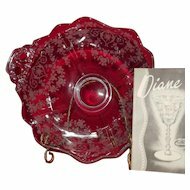 The set have glass tops and are etched in the "Diane" pattern which consists on medallions with flower blossoms inside them with flower blossoms, leaves, stems, on vines. 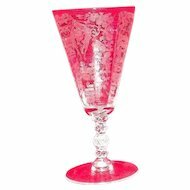 The shaker have no wear or damage of any type with no cloudiness in the glass. 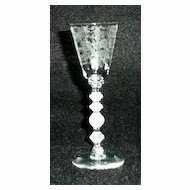 Please feel free to contact us with any questions or to make an offer.